History comes at us in cycles. We are returning to the Fascist cycle as it this was the late 1930s and the Second World War was just around the corner. The Fascists this time are not Nazi but Islamo-fascists. The nature of supremacist totalitarianism shifts from political to religious extremism in our times, just as Adolf Hitler predicted it would. I’ve been putting together a book off and on for years. It will be released in 2017. 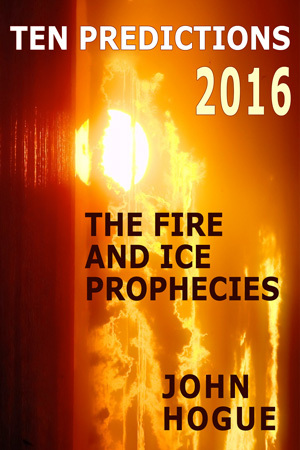 It examines all the predictions Adolf Hitler recorded. 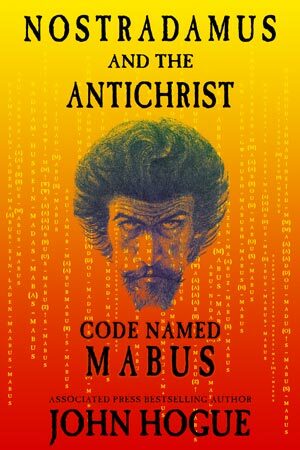 He was a breathtakingly accurate augur of evil future events. He foresaw this religious lurid sheen of Fascism in our times. And in some ways it repeats certain evil qualities of National Socialism. The black and white value systems, the anti-life philosophy. The purity of master race becomes the purity of an intolerant master faith. The worship of death and even its own potential annihilation (read the Twilight of the Gods of Nazis) is expressed now as the Islamic State’s call to a Wahhabist Islamo-fascist Armageddon. The ISIS Caliphate seeks all or nothing world dominance or like Nazism, would strive to drag the world down with its own self-consuming destruction. And there’s the color black. 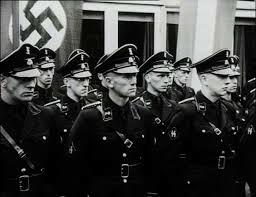 Hitler’s SS troops and Gestapo secret police find their draconian dark reflection in the black clad Islamic Jihadists of Islamic State and their black flags. Both forms of evil have style. Hitler’s Third Reich was evil-chic, just as Islamic State can equally propagate in their savvy recruitment videos on Internet that evil can be cool. Deadly can be high fashion. 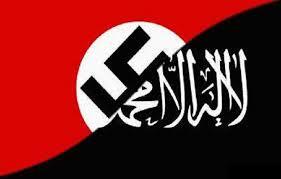 Both Nazi and ISIS fascism hate life. Jihadist stormtroopers shot up the Bataclan concert hall in Paris in November last year where people were singing and dancing. They gunned down people drinking, kissing, hugging and partying as they sat at their open air café tables in several Paris restaurants and bistros, not far away—none of which ISIS can tolerate on Friday, the Islamic day of prayer. No music, no love, no dancing, no laughter, no fun. You stare down the AR-15 barrel of your assault rifle with focused, black-hearted hate targeting joy, good food, good company, and dancing on Latin Night at The Pulse in Orlando just this month. You aim to kill people who freely move around the world to connect and experience other cultures. You set your trap at the Ataturk International Airport in Istanbul just a few days ago as travelers and explorers throng to enter or as they step out of their airliner into the broad airport malls of home or on layover preparing to fly off again to seek new lands to explore. 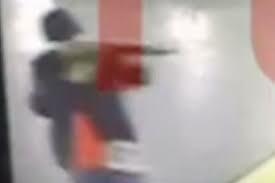 Security camera records suicide bomber blowing up the Mall in the Ataturk International Airport. You hate these people who sought contact to better understand and love others in far off lands and share themselves and their cultures. You load your AK-47 bullet clip for cutting their journey short. You cross their path and pull the fuse of your bomb vest. It hurls at them your infernal insult of ball bearings, nails and body parts cutting down their dreams to know and love the world. A few days afterwards the life-haters emerge from the shadows of Dhaka, Bangladesh on the night of 1 July. 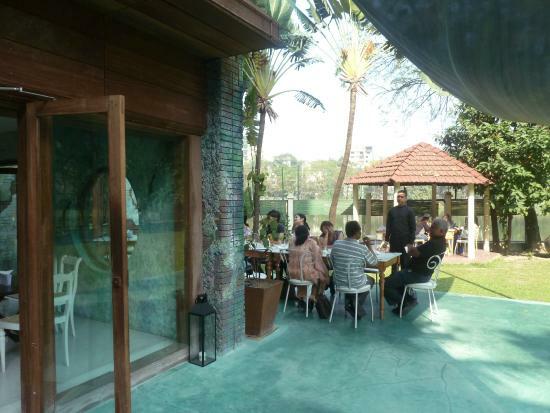 Seven heavily armed terrorists raid the Holey Artisan Bakery, a popular lakefront restaurant in the Gulshan neighborhood, an international embassy enclave of Bangladesh’s capital, and a rich terror target for those hunting down its many foreign customers. 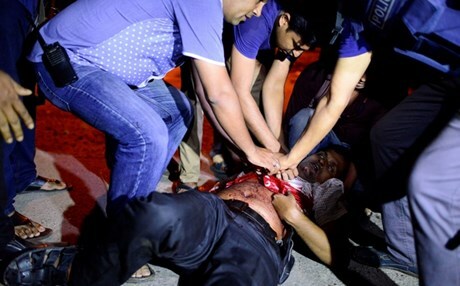 Bangladeshi policeman mortally wounded during the all-night standoff at the Holey Bakery. They came charging in, guns firing, hurling grenades. Details in the initial fog of this asymmetric terror war are confused. As many as 40 to 80 people were set to be held hostage. Bangladeshi police and military tried to negotiate all night as they lay down a siege. No answer came from these Death Eaters of warped religious dogma. Look at these images of the Holey Artisan Bakery. What an aesthetically beautiful place this is—was. Look at the pictures of the wide manicured lawn overseeing the lake. Clearly the hostages must number many families—women and children who frequently gather there to eat, to play in the grass. ISIS had burst through the door and strangled all the beauty with black intent. I wonder and worry about the smiling bakers, both Western and Bangladeshi. Are they still alive? I heard it reported that many of them ran upstairs and escaped to the roof, later finding a way down to safety as the building shook with explosions. In happier times. People relaxing outdoors on the lawn of the Holey Artisan Bakery. As I said in earlier articles, the stars of the next three months favor some of the worst and most numerous outrages of terrorism that we’ll ever see. The wave of mayhem has only just begun to roll. Be vigilant. This will not end when Ramadan ends next Tuesday night. The world is under terror attack into October. 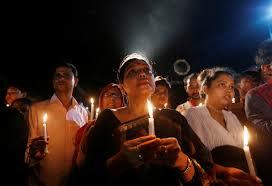 All night vigil in Dhaka for the hostages. The next morning in Dhaka (02 July) when the smoke had cleared the blood had stained and after 100 Bangladeshi commandos had stormed the Holey Artisan Bakery in a blaze of gunfire and explosions, the silence of the ubiquitous crows gossiping in South Asian subtropical trees returned after a firefight of 15 minutes. It is now known the militants killed 20 of their hostages plus two policemen with at least 35 wounded and injured. Six terrorists are dead. One is reported wounded and in custody. His condition, I do not know. 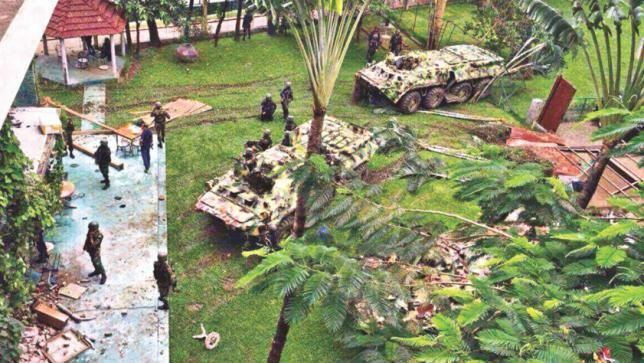 After the gun battle at the Holey Artisan Bakery between militants and commandos charging over the lawn in armored personnel carriers. Blessed news! Fourteen hostages survived. News talking heads filled hours of the 24-hour news cycle debating whether these terrorists were ISIS as claimed or al-Qaeda. They must have been an ISIS affiliated militant band. Even al-Qaeda would not do the things they did to their hostages. Reports have come in that those who could not read the Qur’an were tortured with “sharp objects” and many of the slain were literally slaughtered, possibly with kitchen knives. 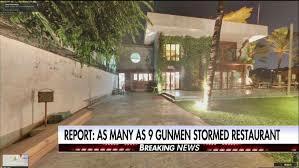 The victims numbered 11 males and nine females. Nine of them hailed from Italy, seven from Japan. 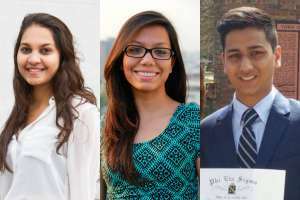 There was one India and two Bangladeshis among the dead, of which one was a US citizen. At least three students killed were attending US colleges. ISIS terror has taken no pause on these final most-holy days of Ramadan. In Baghdad, Iraq, on 2 July and well after sunset when Muslims break their fast. Families thronged streets in the relative cool for some late evening shopping at food stalls and cuing up at restaurants of the commercial center of the central neighborhood of Karada when two truck bombs shattered the festivities of the evening. 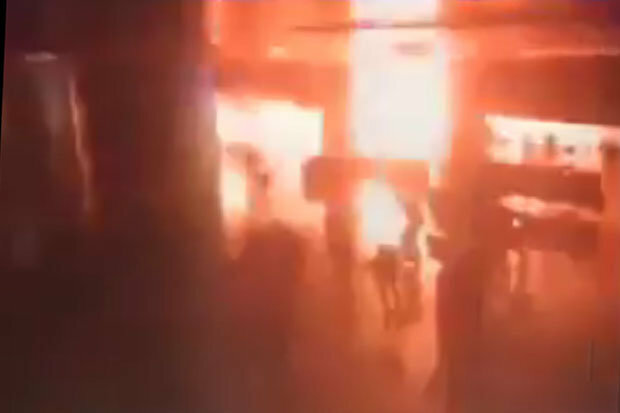 Large fires broke out in the surrounding building, where firefighters valiantly tried to rescue the many burnt and injured in the flaming ruins. A second car bomb exploded in a crowded outdoor market in the southeastern neighborhood of Shaab. 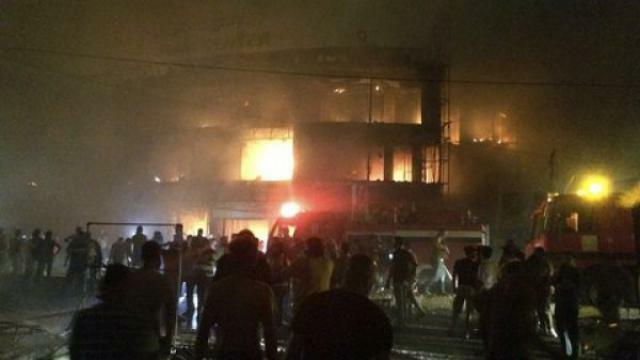 The death toll in Baghdad is the worst so far in this week of global terror strikes. The death toll is at 211 and ever rising as firemen are still dragging scores of bodies from the burnt and smoldering wreckage. It has become the deadliest terror attack in Iraq since 2003. Not long after the explosions, ISIS quickly claimed responsibility for these attacks on predominantly Shia neighborhoods. 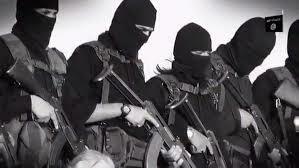 Islamic State considers the Shia “apostate” Muslims. Do not let the nativists and Islamophobic populists campaigning in England or America make you think otherwise: the greatest loss of life committed by the blood-soaked hands of ISIS Islamo-fascists are peaceful, tolerant Muslims. We Westerners are ready to color our Facebook pictures of ourselves in the blue, white and red of the French tricolor flag after last November’s Paris terror attacks. How many of us will color our photos now with the red, white and black tricolor of the Iraqi flag, in requiem for over 200 dead Iraqis? For all we know the death toll may clear 300! 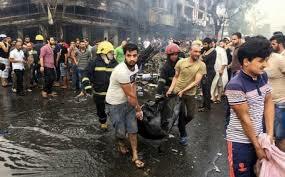 The day after the Karada and Shaab district attacks there are still bodies by the dozens being pulled out of the scorched ruins in the worst death toll of these Ramadan ISIS terror attacks to day. But will you adorn your Facebook photo faces with the red, white and black colors of the Iraqi flag, like you drape French flag colors for the 130 killed in the November 2015 Paris attacks? Did you color your Facebook faces with the white, red and blue tricolors of the Russian flag for the victims of ISIS bombing Metrojet Flight 9268 departing from Egypt packed full with 224 passengers and crew heading home for Russia, all killed on Halloween last year, just several days before the Paris November attacks? I’m just pointing out how selective our sentiments can be and how politically, racially and sectarian biased can be our unconscious choices. The holy month of Ramadan ends on the evening of 5 July. 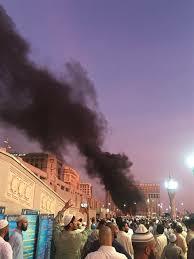 At the time of posting this article on 4 July afternoon (Pacific Time), the evening of 5 July has already settled on Saudi Arabia where several unsuccessful suicide bombers blew themselves to bits without injuring anyone else took place before the US Embassy in Jeddah, a shopping mall and a Shia mosque in the northeastern Saudi city of Qatif. 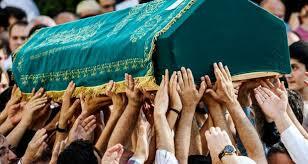 In Medina six people were killed by a suicide bomber throwing himself at Saudi security forces. America’s oncoming evening of Fourth of July fireworks might have fires and explosions of a deadlier kind coming, though the focus of ISIS has been about slaughtering mostly Muslims. Certainly many more victims will be reported murdered in Muslim lands as ISIS has called upon its sympathizers and terror sleeper cells around the world to celebrate this holiday of life with the only thing they know how to do, be servants of death—a force of destruction. In this way the black cloaked Islamo-fascist is like his black-uniformed Nazi counterparts. They are disciples of death. They are a human force of destruction. They are like the occult symbol of the ring serpent that clasps its tail in its maw. If the magic turns black, losing balance, that serpent consumes himself, tail and all. Nazi Germany committed this occult crime. So will ISIS. It’s what they are—what they do. 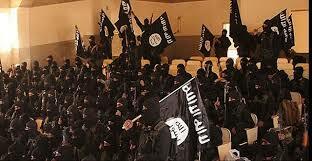 The greater danger is what comes after ISIS has devoured itself. 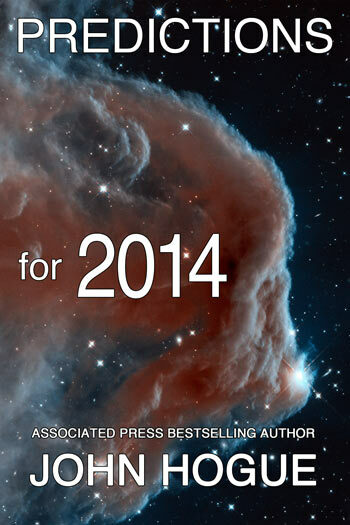 2013-2014: Towards a Greater Depression? 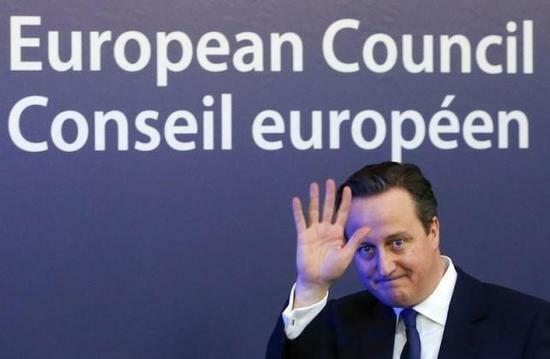 As we’ll see later, Cameron successfully blundered through a proposal to bring up the referendum for a vote in 2016. You’ll see later how my evolution of my Brexit prediction anticipated what this would cause and set in motion. 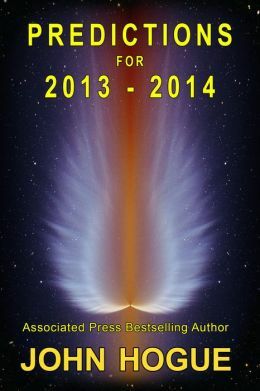 Ebook download, available at Amazon for only 99 cent. Also available at Kindle Unlimited Library. Possible post British Union Jack flag design if Wales should remain in the union but Northern Ireland and Scotland leave. Although the vote to stay in the UK passed by a very thin majority, the big step towards breakups had become more than an idea. People had crossed a line in the collective mindset from just thinking about jumping and “jumping” at the idea of secession. A mental barrier had been crossed and secessionist feelings after 18 September 2014 had a momentum. I was convinced that Scotland would attempt a second referendum. I had forgotten that my Oracle had also forecast Northern Ireland being absorbed into the Republic of Ireland. After the June 2016 Brexit, that is quite possible, especially if a Hong Kong solution is entertained, one in which Northern Ireland could be a part of the Republic of Ireland but retain its own autonomous government; or, as they call it in Hong Kong and Beijing, the “one nation, two governments” solution. My Oracle is “adamantine” Wolverine about it. 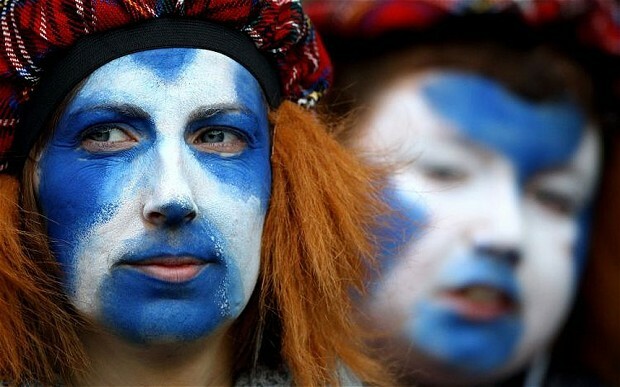 Scotland is leaving the United Kingdom in the next few years, the referendum in September 2014 was only a prelude. London promised Edinburgh the moon, as it were: near autonomy. It’s not the first time Scots trusted a peace or treaty offering promised by Westminster, i.e., an economic bribe keeping the Scottish “chieftain” elites ruling the little kilted nation of four million. This time the stakes for London are much higher. An independent Scotland would eject Britain’s nuclear submarines and military bases and grab a large swath of the oil and gas fields’ income out in the North Sea. That’s why a plethora of reported incidents of voter fraud during the referendum has the look of the sticky paws of MI6 (the British secret service) all over the stolen, disappearing or mistakenly counted ballot boxes. When one nation plays manipulator and the smaller nation the manipulated, there’s a habit turned into belief by the former that it can keep this going forever, and why not? The English-turned-British kept Ireland under its foot for 700 years. The manhandled get used to playing the victim almost forever; yet, all things on this Earth have their life cycle, even slavery and victimhood. Ireland broke free at last. Scotland is ripe to do the same sometime after 2017. The United Kingdom will vote in a straight up or down referendum in 2017 to either stay or leave the EU. Scotland has warned that if the UK leaves the EU, Scotland will leave the UK. 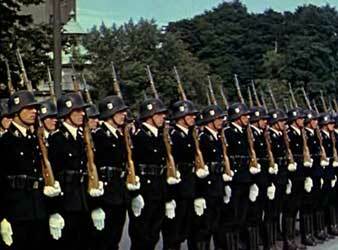 The manipulators in London don’t take that threat seriously, any more than they thought the Irish would dump their empire. The [Scottish] referendum of 2014 was only a rehearsal for what I predict will be the breakup of the United Kingdom. 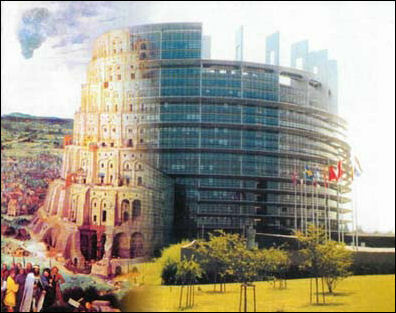 Why does the EU Parliament look like the Tower of Babel? A joke, a architectural Feudian slip? Here’s what I foresee will happen if the British people vote to leave the European Union. Say goodbye to David Cameron as Britain’s prime minister and say “hello” to a British version of a blond-Trumpian politician taking the reigns. 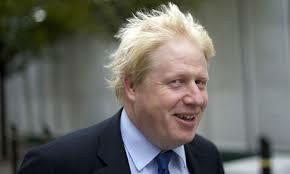 Bombastic Boris Johnson, [former] mayor of London, will be Britain’s next, and perhaps “last” prime minister. And Trump possibly Trumped in Cleveland? I got the Brexit vote correct but Boris scuppered out of the race to become the next prime minister voted in by Tory party members scheduled for October. Now it would seem a new cast-iron lady, like Margaret Thatcher, may have to step with high-healed shoe into the arena, Home Secretary Theresa May. (Perhaps it would be better to describe the job as being politically placed inside and “iron maiden”—a tool of medieval torture.) The process of negotiation might cause her to become a political martyr. That is, if she even gets that far. May voted to remain in the EU and Brexit Tory supporters threaten to sue the Conservative Party to nullify the October party elections unless a pro-Brexit candidate is allowed to run. 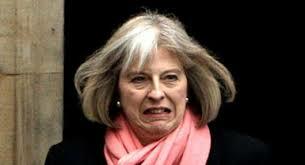 Madame May, do you want to be the “last” prime minister of Britain??? Clever fellow, “England’s” first prime minister in over 300 years. If the British people vote yes for Brexit, you don’t know Union “Jack” what’s coming next. 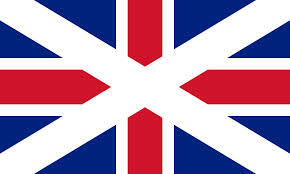 Picture the Union Jack without the Scottish flag’s blue field and white St. Andrew’s cross. I have documented forecasts since 2013 that if Britain leaves the EU, Scotland will convene another referendum and this time they will not be fooled by “English” parliamentarians and new prime minister with empty promises of more autonomy. Scotland likes being one with the EU. In 2017 they will gather and vote to leave the United Kingdom. 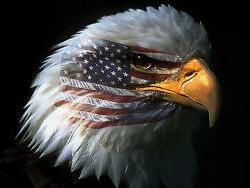 I always wondered who would become the 51st State of the USA. Maybe this will be the state flag? The Union Jack will be changed. Gone will be the blue field with the white cross of St. Andrew. 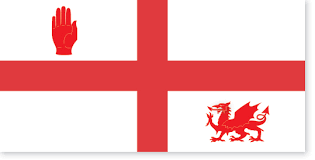 Maybe Wales will gain some ensign distinction at last and fill the lost blue with its Celtic green field of flagging. Or, Wales might join its Celtic cousins the Scots and leave the United Kingdom. 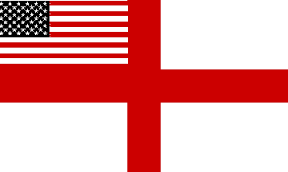 Perhaps British people of the English heartland will have to return to calling each other “English” and fly the red cross of St. George on a white flag, relinquishing the last symbol of empire. [The term “Britain” and being “British” will no longer apply.] 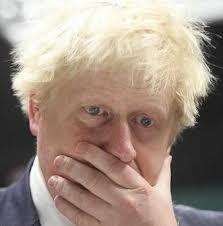 Thus Boris Johnson will be the last “British” Prime Minister and the first English Prime Minister in 310 years. Everything I’ve forecast about what’s coming next could be thrown into the winds of turbulent future history changes, because there’s another king and union maker playing behind the scenes. There are those in the highest circles of the US government that for decades during the Cold War had funded, arm-twisted and finally got their “European Project” as it was called by the CIA up and running. By 1992 they had at last set up a European sovereignty-dissolving umbrella government, called the EU. As intended, it doesn’t answer to any European citizen but “does” answer to Washington. 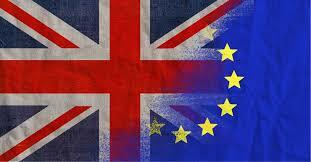 Britain leaving that union, some political forecasters declare, will not be allowed. I would presciently caution that what would really happen next is not what Washington planned or pundits completely foresaw. 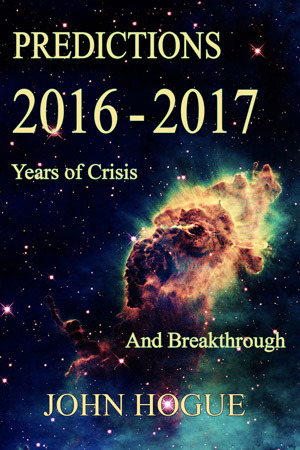 My answer to those pundits is coming in detail and astrologically explained in my forthcoming book Predictions 2016-2017: Years of Crisis and Breakthrough. You can get on the list in advance to receive my expanded donors-only edition by clicking on Year of the Monkey. Julian Assange to release Hillary Clinton’s emails, will they force an FBI Indictment? Hillary Clinton two days ago volunteered to appear for a 3.5 hour interview with federal agents at the Federal Bureau of Investigation (FBI) building in Washington DC. This long investigation into email-gate is wrapping up. I expect that the FBI will present its findings in the next fortnight, only days before the Democratic National Convention. 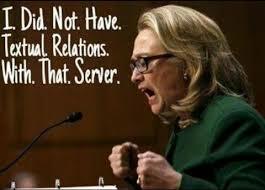 We will then be told whether Clinton who had exclusively, recklessly, used her family’s private email server for official communications, rather than official State Department email accounts maintained on federal servers, may have passed back and forth top secret information wide open for hacking and espionage. 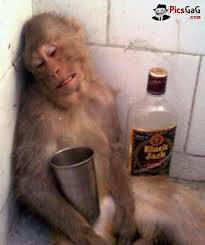 In a Chinese Year full of Fire Monkey business, I wouldn’t rule out anything happening. The year is rife with prophetic wild cards, even some that might topple my hard held predictions. For instance I have a near unshakable prescient faith in a future that sees Clinton passing successfully through the gauntlet of scrutiny and “not” being charged with a felony offence for sending official communications—including thousands of emails that would later be marked classified by the State Department retroactively—on a server wide open to espionage. If my vision is completely wrong, then the findings report tendered just before her presumptive nomination at the DNC Convention in Philadelphia could strike down a destiny I’ve been predicting since the year 2000 would happen: Hillary Clinton would become President of the United States and be the first woman to achieve the most powerful political office in the world. I won’t try to second-guess myself on this, even though the shadow of scandals and a long list of blunders to match her longtime “experience” ever follow her. Nevertheless, I do not think they will prevent her from being president—that one-term wonder I might add, because of corruption and strategically dimwitted decisions finally catching up with her. 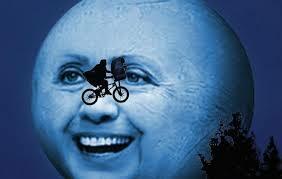 I always foresaw a clear and present threat of scandal or embracing bad counsel taking her down as the next president. 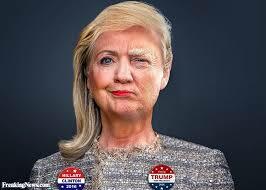 If I erred and she’s indicted on the eve of the DNC Convention, then an act of scandal, more by blunder rather than intent will have hit “before” becoming president, taking that future away forever. I just don’t see it happening. 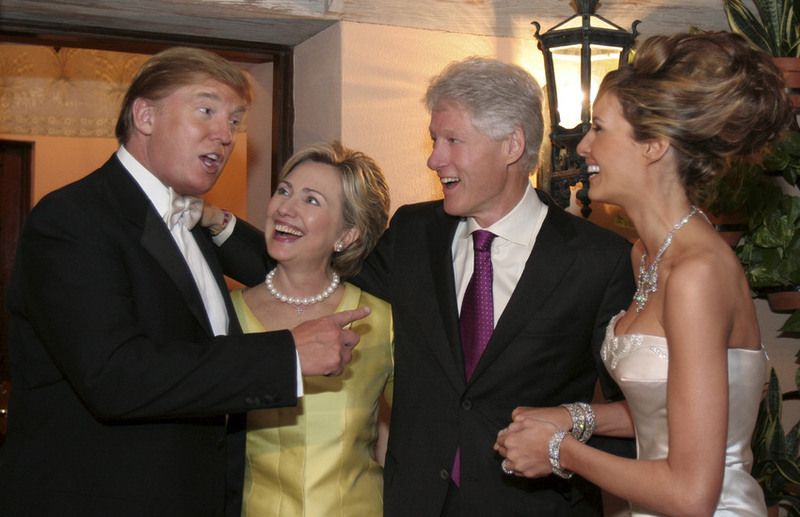 There are powerful corporate interests that have for decades now propped up the Clintons and their Foundation work as another kind of specially interested foundation, if you will, for their return to the White House with many corporate and international strings well attached. Her husband had the hubris to bust an obvious move earlier this week, schmoozing Obama’s Attorney General, Loretta Lynch, whom he had appointed to a post in his own administration. There’s no way they just talked about their kids for 30 minutes when Bubba Bill paid a call to her jet parked next to his own at the Phoenix International Airport last Monday. Even if Bill hadn’t mentioned a word about his wife whom Lynch is investigating for possible felony charges, he didn’t need to. Clinton has Johnson’s Southern animal magnetism. He’ll “presence” you against the wall, while he’s talking about his grandchildren with the Attorney General. It is never mentioned but it is in the presence that he launched dear Loretta into the high circles of power as a presidential appointed US attorney in New York under his administration. Nobody needs to talk about “that.” It’s implied without words. It’s subconscious magnetism. It’s like a house that envelops you. You don’t consciously think of it. But you are “sheltered” and “he” sheltered you in it. It’s power that only need stand before one. And one can be influenced by it even it one is not conscious of the influence. That presence is a physical and magnetic reminder of step one to the final step becoming an Attorney General. That “catalyst” could be back in the White House doing good, as a special advisor to a wife who you have under an FBI investigation. There’s a 500-lbs Gorilla in the posh jet cabin no one talks about. Can one be unconsciously tempted to lean in favor or interpret findings two weeks from now inclining in favor of that irresistible presence once again come home to the White House? To power? Yet the future runs wild this year. Julian Assange of Wikileaks, holed up in the Ecuadorian Embassy in London for years now has warned that he could ruin Hillary Clinton’s chances of becoming president with one click of his computer’s “Enter” button. He claims to have emails that would indict her if the FBI would let “Presence” win over Jurist “Prudence” in their report. Who know? Perhaps he will release the damning emails any day now, after Clinton’s final interview a few days ago. This would be the time to display to everyone her perjury, her tampering or suppressing evidence that perhaps the FBI was either unaware of or politically unwilling to expose. The question is, would the FBI “act” on what Assange would expose? Would the corporate media broadcast the story? 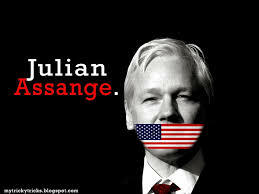 Many of Assange’s revelations over the years have gained scant attention from the establishment news. Of course FOX News would go ballistic with Assange’s email dump. Donald Trump rightfully might throw a “bomb-blastic” explosive rage about the rigged system, “crooked” Hillary getting away with it. Another example of the Establishment from the FBI to the White House protecting their own elites. 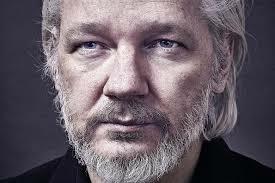 At the very least the information, which I predict Assange will release, will cast further and darkening shadow over Clinton as someone untrustworthy and the margin of distaste for both candidates by the US voting public would narrow. Who knows? Trump might race ahead in the Trust department. Remember my rare caveat, the third offered in 48 years predicting 12 presidential victors in a row. 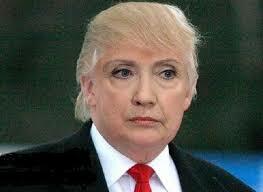 Hillary Clinton can beat herself, lose this fore-destined sure victory, and let Trump win. 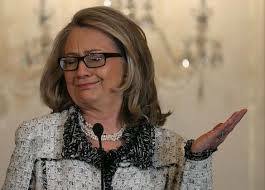 For the record, if and “when” she wins, her White House will be a House of Scandal, unless I’m wrong, and scandal bite early, before the Convention and the evidence is too damning even for President Obama to pardon her, which he will if he can get away with it at all. Click on the cover and check out this new release! 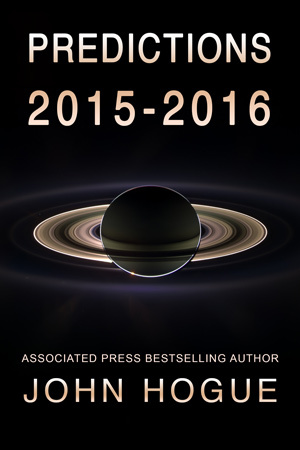 Click on the cover to the Amazon sales page. One of the ten predictions is a concise overview of everything that could happen in the next five months to Election Day and beyond.